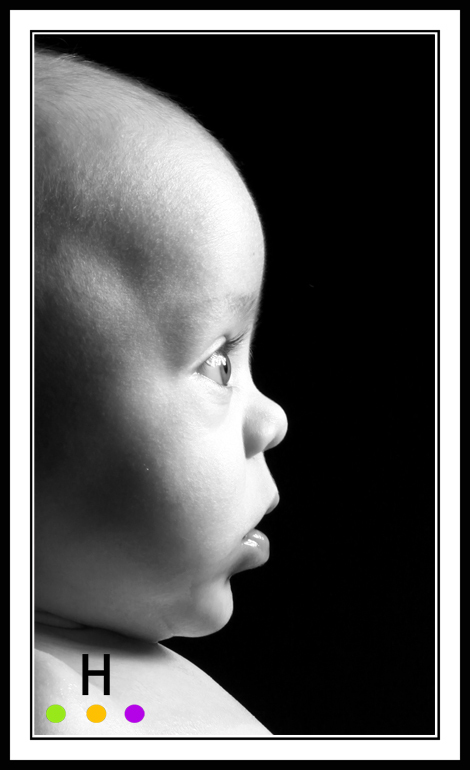 Black and white baby portrait photographed in the studio. Family, baby, child, pregnancy, wedding and business photography. Ads on this site are property of “WordPress” and not http://www.debra-hunter.com .